The upcoming Archiv Teknologi will see two affiliated Swedish projects – SHXCXCHCXSH and SSTROM – shroud Ankali in black. Warm up by local diggers Karst. At first glance SHXCXCHCXSH distract attention with the nearly illegible name. Hidden behind the wall of anonymity is a terrific body of work that takes cues from Proto Techno, Post Punk, Noise and Ambient. 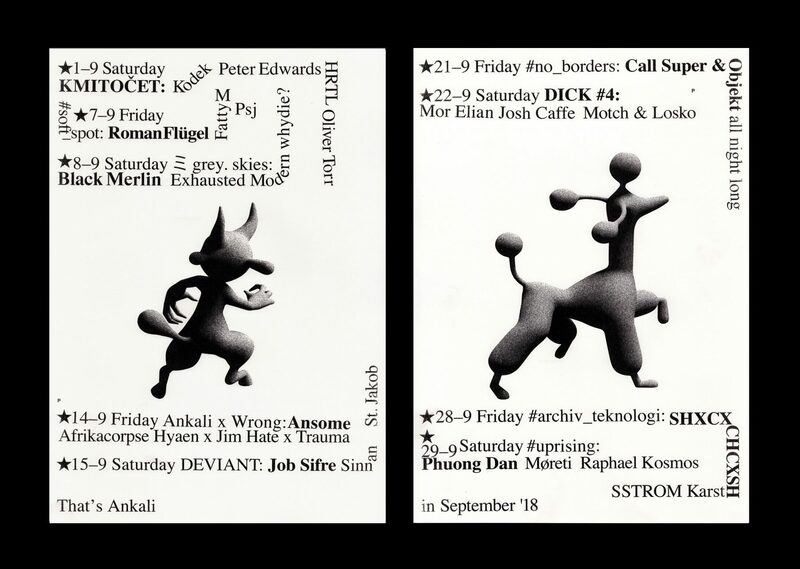 On September 28th they’re coming to Ankali to play an abrasive live set. Also on the bill is SSTROM, a member of SHXCXCHCXSH who will present his more club-ready approach to atmospheric Techno by means of a dj set. Opening the night will be Sinnan and Fleika aka Karst, both residents at Ankali with ever-changing yet impeccable taste for hallucinatory Techno.